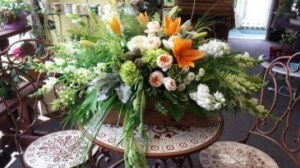 Lush and full with garden roses, snapdragons, stock, lilies, hydrangeas and a gorgeous assortment of different grasses and greeneries. 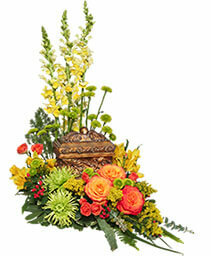 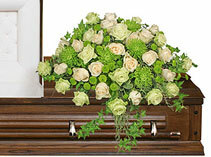 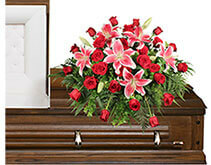 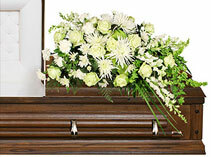 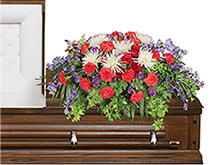 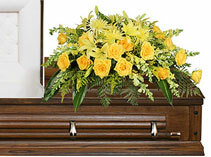 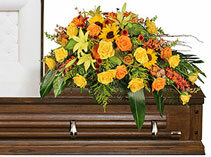 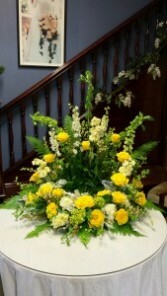 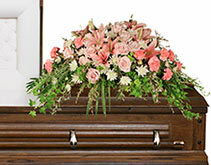 Beautiful horizontal wreath to frame a cremation urn. 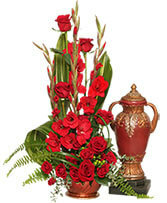 Customize to best suit your loved one.